The Monument – the flame-topped Doric column to the north of London Bridge – was once the capital’s tallest building. 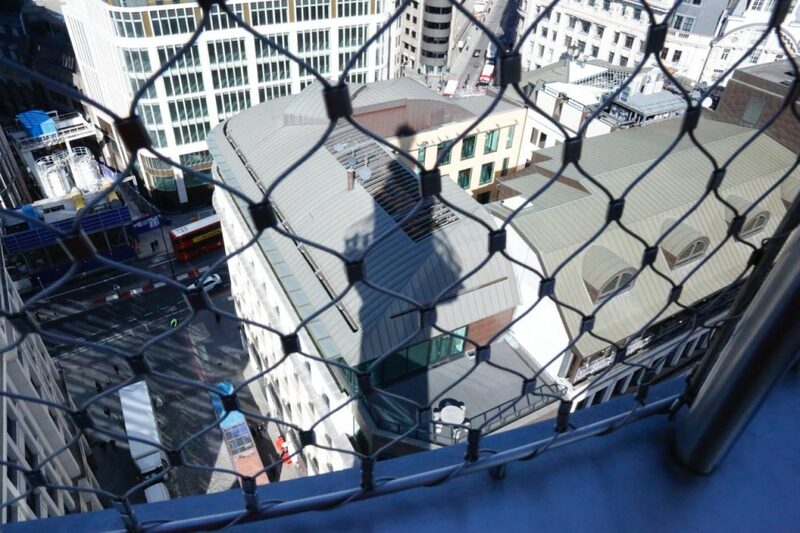 At 202ft, it’s as high as it is distant from the bakery on Pudding Lane where the Great Fire started in 1666. Visible from all around, it would have reminded anyone who looked up of the conflagration that consumed so much of the old city. 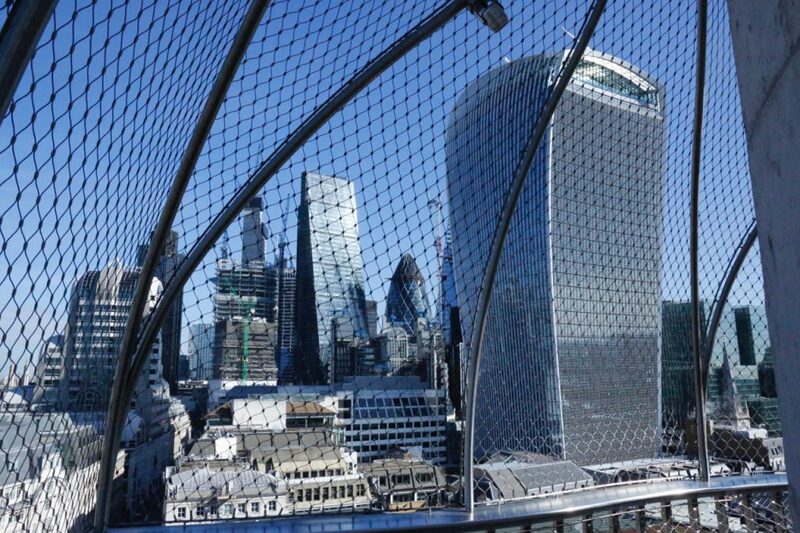 These days, it’s an easily missable detail on a skyline dominated by glass and steel monsters. The bulging Walkie Talkie looms behind. Across the river, the Shard stands five times as high. 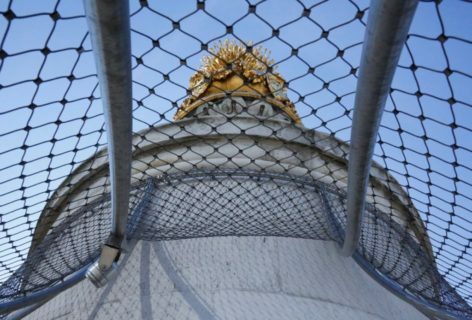 I visited the Monument because – in the spirit of our London In Slow Motion walk – I wanted to try to connect with an older version of London and a slower sense of time than the frenzied day-to-day. On entering it, I found myself at the base of a cantilevered staircase that spirals all the way to the top. Looking up at the small circle of light directly above felt like peering through an enormous telescope – which is precisely how the brilliant scientist Robert Hooke would have first used the building. Hooke, who designed the Monument with Sir Christopher Wren, cleverly crafted it to double-up as a Zenith Telescope. This ingenious opportunism was typical of Hooke, who saw London as a laboratory for experimenting and learning about the universe. I pictured him there at night gazing at twinkling images of stars hundreds of light years old. The fabric of the Monument itself is suggestive of an even wider time horizon. 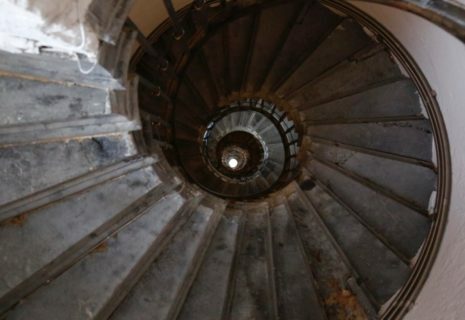 So, the staircase looks a lot like a giant ammonite. I doubt the resemblance was lost on Hooke. He made a detailed study of fossils which he inferred – long before Darwin – were tangible evidence of species that had become extinct. He would certainly have been well aware of the fossilised sea-creatures embedded in the Portland Stone that clads the column. We now know them to be some 150 million years old. Emerging onto the viewing platform after climbing the 311 steps, it was hard to imagine the scene that would have greeted the Monument’s early visitors in the 1670s. Twenty-first century London confronts you loudly with its gleaming skyscrapers, roaring traffic and rattling pile drivers. But then, the cry of a sea-gull and slow chimes of St Magnus the Martyr hour bell instantly transported me to an age before engines, when all sound was acoustic. Looking down, the Monument cast its eleven o-clock shadow on the roofs below like a giant gnomon. I felt the sun on my cheek, its warmth rooting me back in the present moment. London In Slow Motion was devised in collaboration with Cathy Haynes, former Timekeeper in Residence at the UCL Petrie Museum of Ancient Egyptology. We’re next leading it on Saturday 12th May.